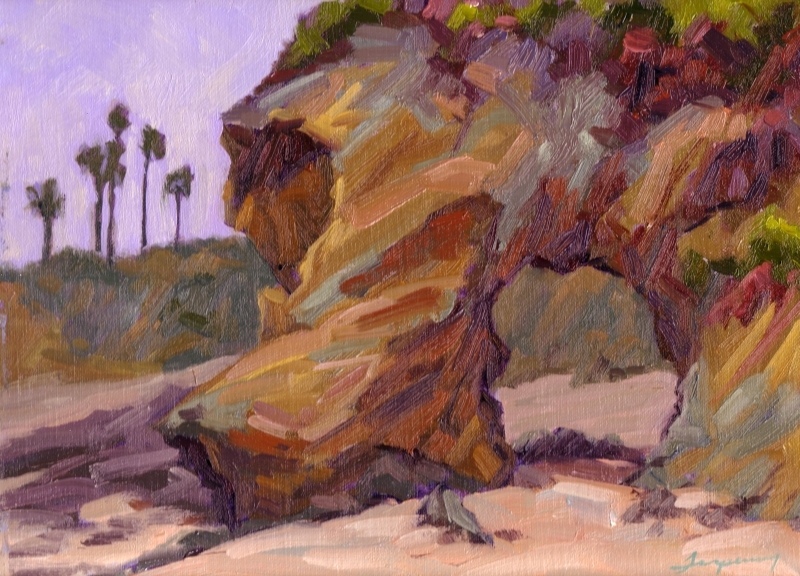 In Laguna, I had fun producing a few small rocks/surf studies, with lots of juicy paint! Using this technique in representing water is particularly effective because water is mostly made of “edges” of color in sharp contract. This, and pallette knife technique work realy well. 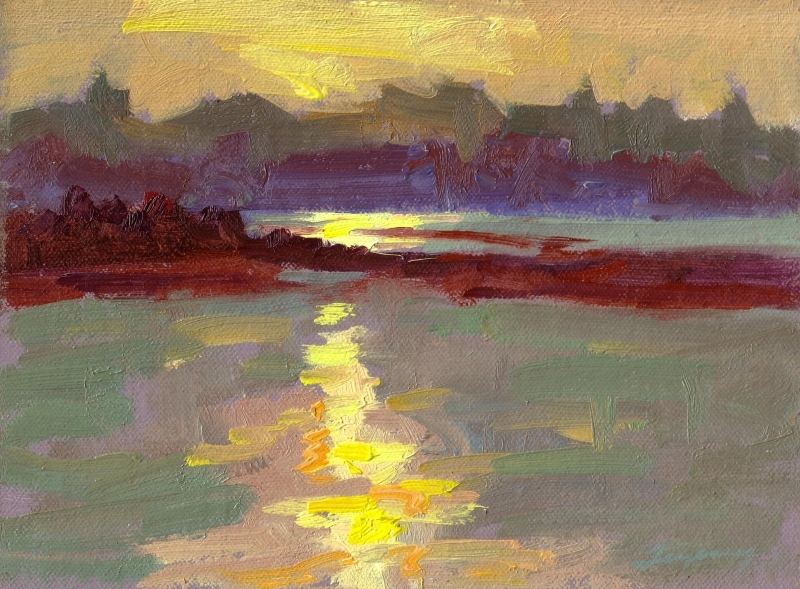 The “Key Hole” in Laguna Beach is painted often by many artists. I enjoyed bringing out the slight color variations of this rock formation. Enjoyed paitning boats at Angel Island recently and capturing the tranquility of this place. I’m making more trips to Lake Tahoe this summer.. As with some of the Laguna Beach rocks/surf paitntings above, I’m experimenting with pushing color and using more expressive and obvious brush strokes. 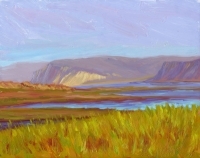 I was honoored to participate in the Point Reyes Plein Air 2005 Event. 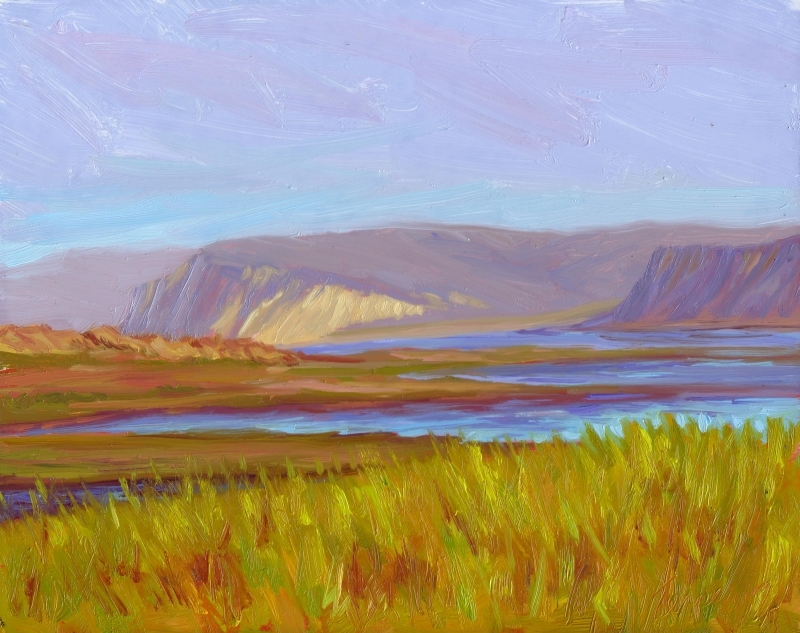 This painting was done of the Marin Headlands from Limantour Beach and expresses the quite and vastness of this beautiful open space. 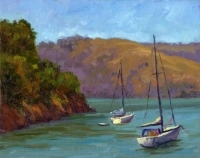 You can read more about this event at the Point Reyes Plein Air Event at William Lester Gallery web site.